Does Your Company Have a Texting Policy? Most people are aware that texting as a norm has exploded over the past several years. Typically, the younger you are, the more you are texting. Texting is the most popular communications activity among young adults who ultimately prefer to be reached by text message than by phone or email. It is instant communication. With rampant cell phone use increasing, it begins to raise a lot of questions about whether texting requires a separate policy at the office to set guidelines or can it be addressed in other existing policies. Just as emails can be misunderstood, so can texts, especially due to their brevity. When communicating with your staff it is best to play it safe and have a conversation. There are less misunderstandings and assumptions made this way. There are exceptions to this rule. For example, in emergency situations a text may be needed to reach a large group of people in a short amount of time. If your current policies do not address texting and it is one of your concerns, then you need to revisit what your policies say. 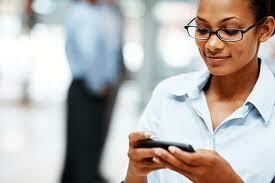 Many employers report that their staff will text them to let them know they will be late or absent. Often times an employee may text to avoid speaking directly with a supervisor. Is it OK if your staff member texts you that they are going to be late or not in at all? Does the policy for calling in clearly state that they must verbally communicate this with you via phone? Will you need to reach an employee quickly to try to fill a shift last-minute? The policy should cover this scenario as well. Organizations should also consider including in current anti-harassment policies a statement that offensive texts may not be sent or shared among co-workers. The policy should also caution employees that when they are using a company cellphone, they should have no expectation of privacy and the company reserves the right to monitor its usage. The type of business you are in will determine the best policy for texting. For those that are in retail where customer contact is frequent, you may want to spell out that texting is prohibited. Same with occupations that texting may be more of a safety issue: tellers, receptionists, manufacturing floors, drivers, lab workers, etc. Whether you have a very flexible “Results Only Work Environment” (ROWE) approach or an environment where professionalism is vital, modify or create a policy that is right for the organization as a whole. Just be sure to keep your employees well informed on both your expectations and the overall benefit to your organization of your new texting policy. Does your company currently have a cell phone and/or texting policy? How do you currently handle the use of cell phones in the office?